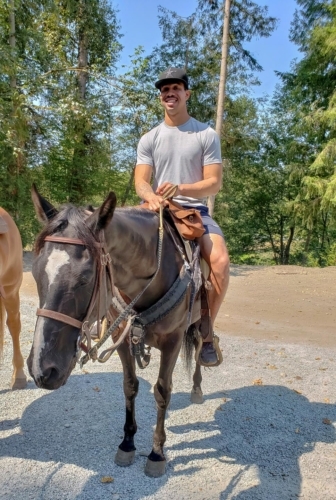 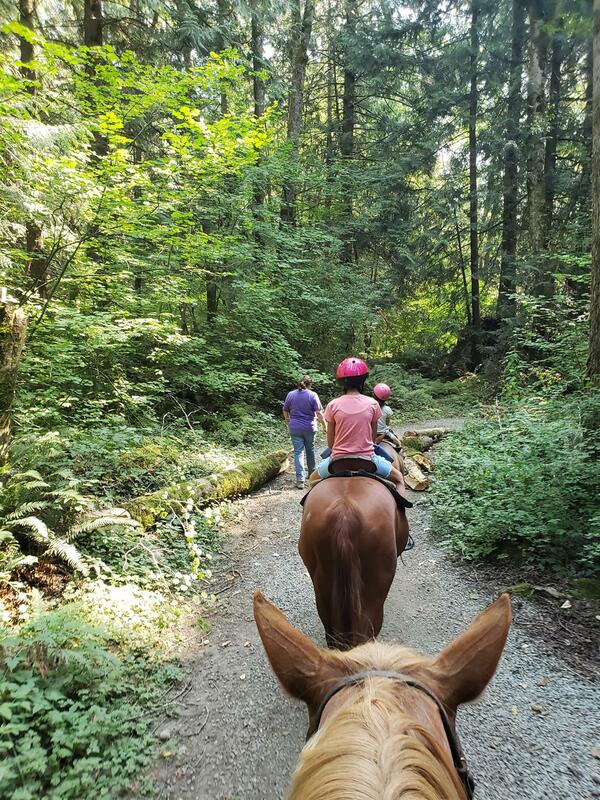 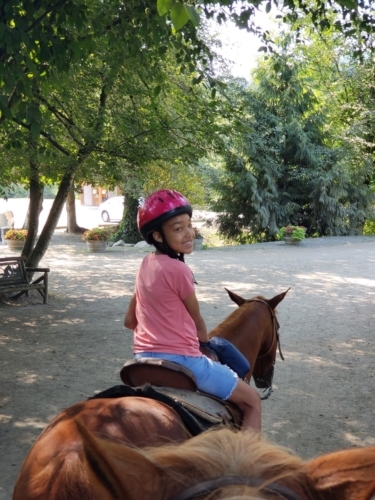 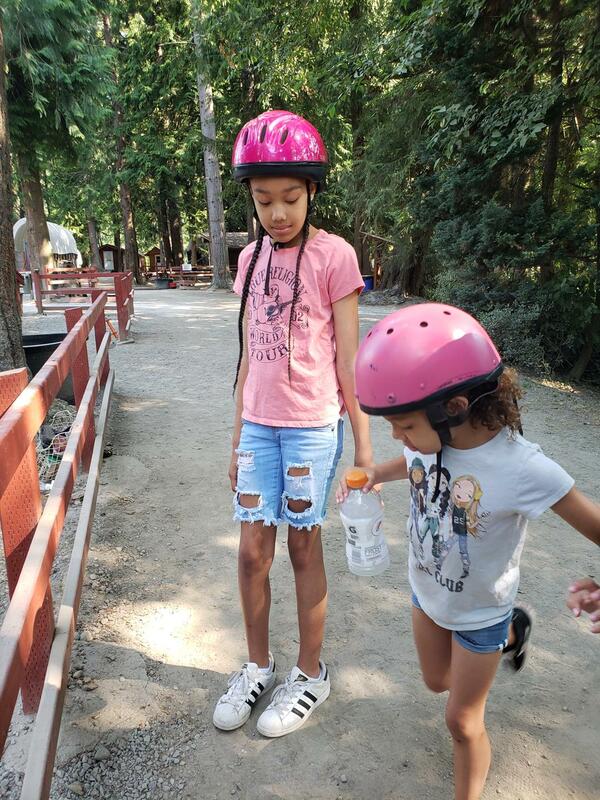 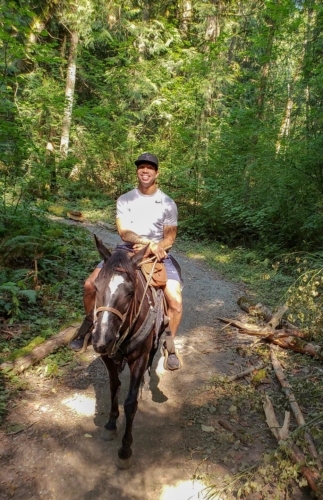 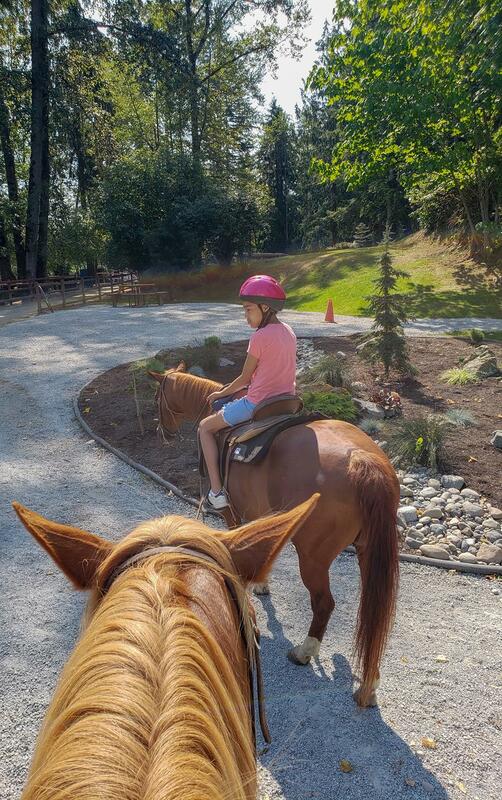 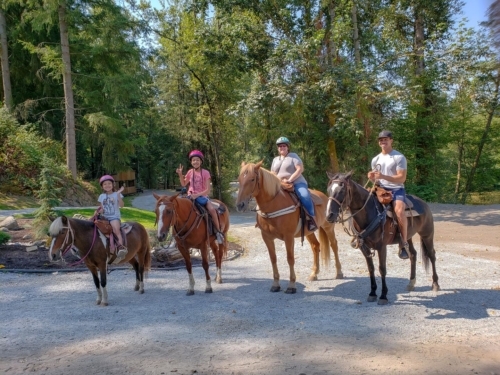 My Navy son’s ship just got back to Everett and he had a few days off, so I took him and my grand-daughters to Lang’s Horse & Pony Farm in Mt. Vernon for a 45 minute trail ride. 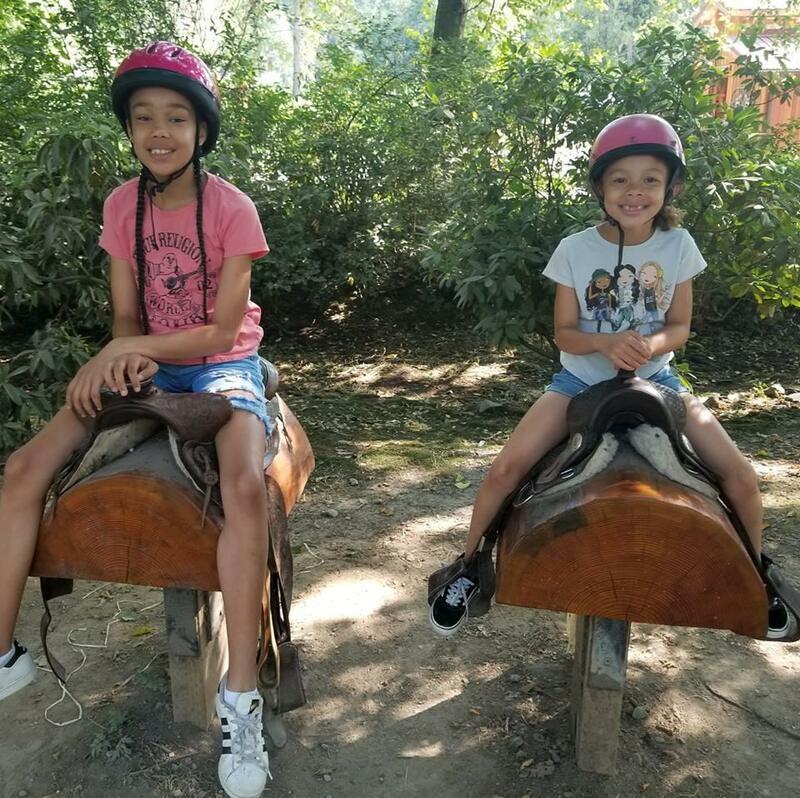 It was the first time the girls rode horses outside of a ring, plus it was the first time they had control of the horse/pony by themselves. My son hadn’t ridden in at least a decade, maybe longer (I used to take him and his brother all the time when they were little). 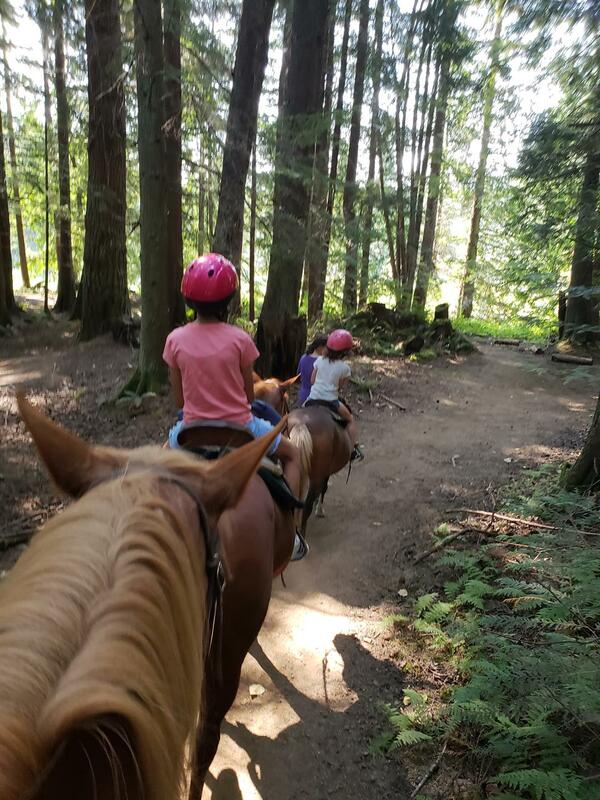 It was a hot day, but nice and cool in the forest, where we rode. 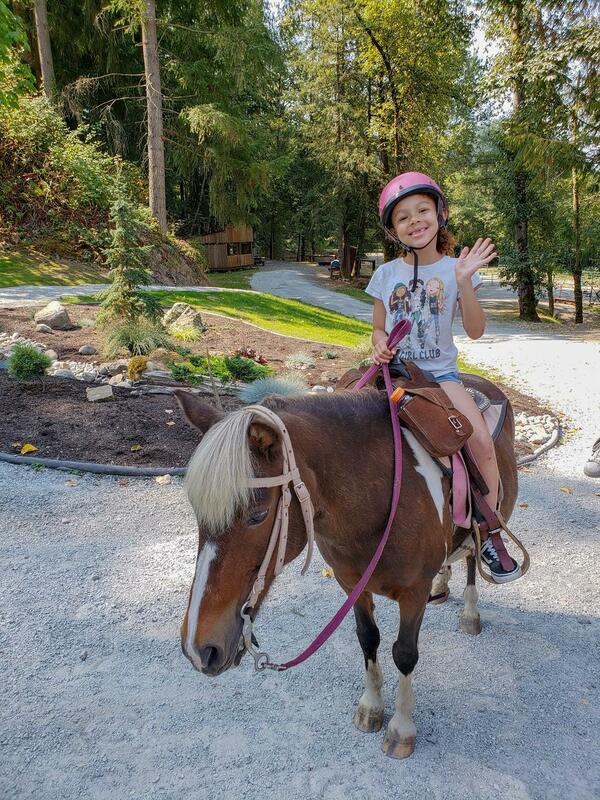 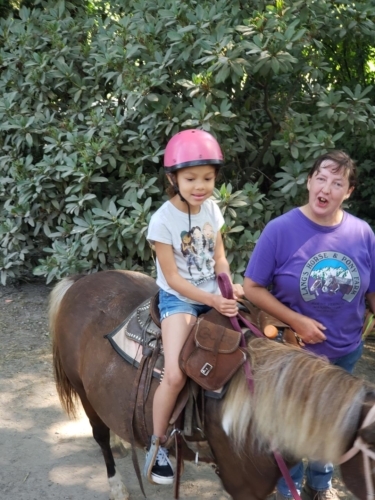 The youngest, Avenleigh, was in the lead on her pony, Daisy. 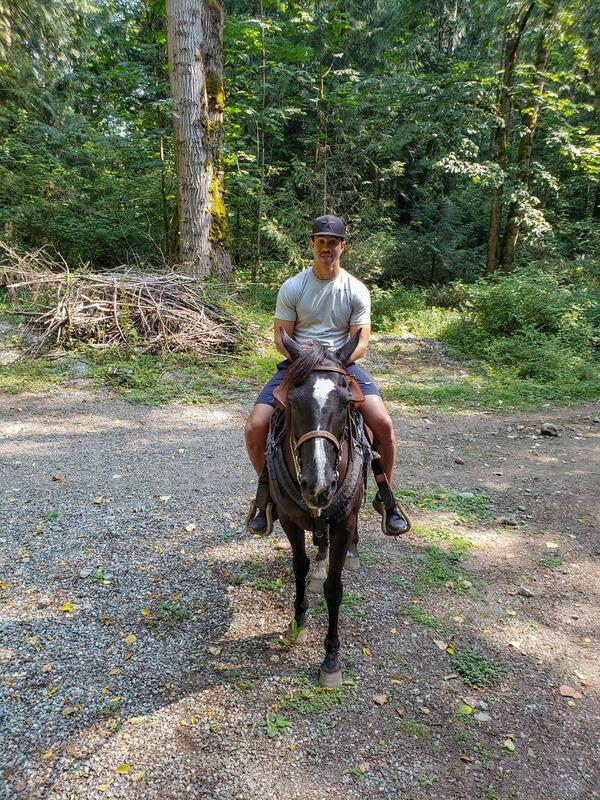 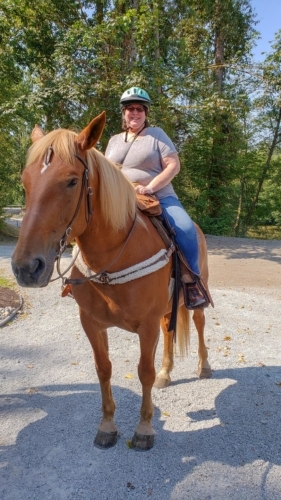 I was riding an Andalusian mix named Betty…she was gorgeous and so well mannered. We had a lot of fun and I plan to take the girls back in the future.